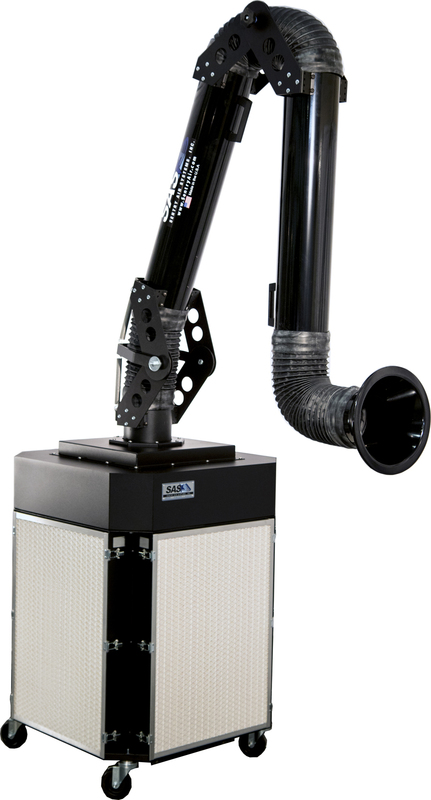 The Model 500 heavy-duty industrial fume extractor from Sentry Air Systems Inc. removes fumes and particulate emitted from high-volume applications such as MIG, TIG, stick and plasma cutting. The four cleanable Merv 16 filters can be cleaned with compressed air without removing them from the chassis. The 10-ft.-long hinged extractor arm provides exceptional reach and a flame-retardant arm construction. This unit has been tested with hexavalent chromium for stainless steel welding.